Tennis is not only about big names and big tournaments, but also about coaches and educators who work in the shadows. Martin is one of them; together with his friend Abel, he founded TennisAid, a charity whose purpose is to provide sports equipment and technical assistance to kids living in poor countries. 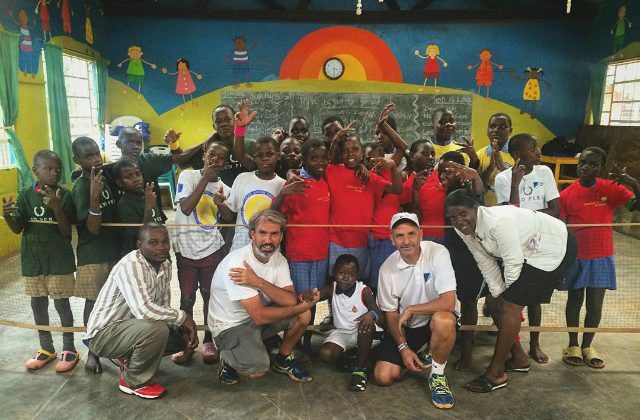 You can find more about Martin and TennisAid’s trips to Uganda here. Thanks Martin for having been kind enough to answer our questions. We followed your adventures in Uganda last year, are you still in contact with the kids? Yes, we are in contact with their coaches, they are good friends and we are in constant communication to see how their work progresses and if they have any special needs to be covered. TennisAid is also involved with another charity, Seneball can you talk a bit about that? Seneball is a project originated in the Canary Islands by a group of coaches with experience in humanitarian work in India. The idea is to build a tennis court and a classroom in a Senegal village to provide local kids both tennis and education. They asked TennisAid to join in and we gladly accepted. Coach Steve Verkouter from Belgium started visiting the refugee camp in Dunkirk and we contacted him, then we provided him mini-tennis rackets and soft balls and that lead to a short visit to another refugee camp in Athens this past June. A very powerful, sad and learning experience. What’s next for TennisAid, do you have any new projects? We just launched our website: www.tennisaid.org and that´s a huge step forward for us. We can show all of our trips, collaborations, special shipments that we send all over the world. We can also receive donations or sell our bracelets. We sold over 5000 of them already. Soon we will have new T´shirts for sale too. How can we help TennisAid? The best way to help us is to promote our work, buy our merchandising or make monetary donations. Locally we constantly get a lot of equipment donations and that help us a lot when it comes to travelling or shipping boxes because we don´t have to buy any material. Please check out tennisaid.org and follow TennisAid on Twitter and Instagram. 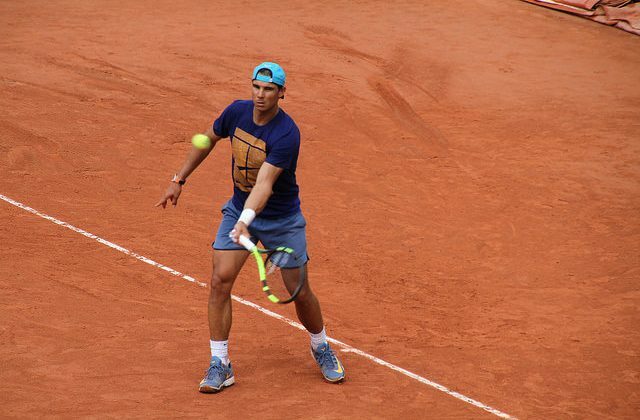 Former French Sports Minister Roselyne Bachelot said on French TV last March that “it is known that the injury of Rafael Nadal, which lasted seven months, was probably because of a positive control”. Nadal filled a lawsuit against Bachelot last month. Here are a few extracts from l’Equipe Magazine’s interview in which the 9-time Roland Garros champion talks about the doping accusations. Someone who is supposed to be serious, responsible, can not say those things without any proof, citing someone who’s not on the tour anymore and who has been banned for life (former player Daniel Köllerer). I am not afraid, but my credibility and sport’s credibility in general are at stake. No one can say things like that without information, so the only way to stop such unfounded statements is to take legal action. I have full confidence in French justice. I am serene. What she said can not hurt me because I know all the work I’ve done to be where I am today. On the contrary, for the people who know nothing about that and hear Bachelot’s accusations, it’s shocking. It damages the image of my sport, my image, and I can no longer tolerate it. I worked so hard throughout my career, always ensuring respect for my true values, applying to give everything every day. Maybe my way of playing encourages ill-intentioned people to think certain things. It’s unfair and it’s a lack of respect for my daily work. Some players hit harder than me, others are stronger physically, others even mentally. You need to have all those qualities to be the best. But I’d never put in doubts anyone. I go very well with all the French players and I was heartened by their support. We are together on the tour, we see each other in the locker rooms everyday and we know each other well. I appreciated. I believe in my opponents. I am sure players I face are clean. Simply because I believe in the anti-doping system. We’re in the middle of a lawsuit and my lawyers intend to use the results for my defence. They advised me to wait until the end of the lawsuit before publishing them. Once the legal procedure is behind me, I will share them. AnNd I’m sure that in a near future that’s something that will happen all the time. It would be a great way to show that our sport is clean. Today, it’s essential for its image that we are as transparent as possible. I can not say if there are enough tests or not. What matters is that everything has to be made public. Interview by Georges Homsi for l’Equipe Magazine, translation by Tennis Buzz. 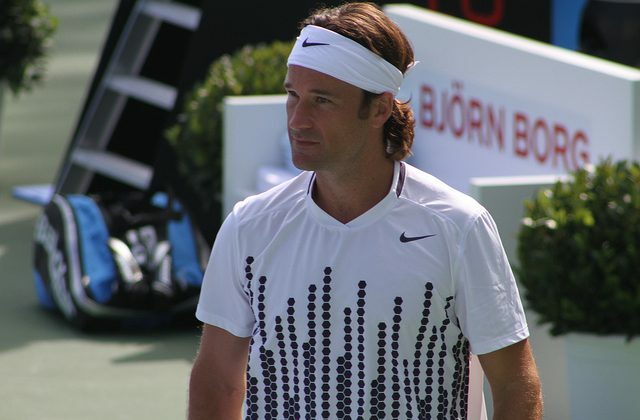 Photo credit: Tennis Buzz. Andy Murray announced his ‘mutually agreed’ split from coach Amélie Mauresmo earlier this month. In an interview with l’Equipe Magazine, Mauresmo explains the reasons behind the end of their partnership. She also talks about the Fed Cup, and various things she already discussed in previous interviews like her view on Grand Slams format and lack of winning culture in France. I had the feeling we had felt the end of road professionally. It was concluded that it would be difficult to continue. I reduced a bit my number of weeks of presence since the Australian Open and we spent little time together. It happened to be a difficult period for him and I couldn’t help him. But this decision (to end the partnership) was initiated some time ago. I don’t want to go into details. Everybody could see some things. Q: In particular you no longer sat in Murray’s box in Miami? I no longer wished to be there. I wanted to try something else. Q: Because of his behaviour on court? Andy is complex. On a court he can be the complete opposite of what he is in life. It can be confusing. I was there to help him. I had the feeling we could not make progress anymore. Q: What is your assessment of this experience? It was a beautiful adventure. It broke down barriers in mens’ tennis. I was proud to be a pioneer. And it worked, thanks to respect and communication. I have good memories of his success on clay last year (titles in Munich and Madrid) while he had never won a title on this surface. I liked the way Andy works, I enjoyed working with his team. Andy has great listening and analysis capacities. He is curious, always looking. And that’s what makes great champions. It was a great challenge in which I put myself in danger. I accepted the job because I knew I could bring him most of the things he wanted. He had difficulties to communicate. He wanted someone able to listen to him. He also wanted to play more aggressively, near the baseline. He thought he could open up a bit more with a woman. Back then, he didn’t want to play anymore. Q: Are you interested in this controversy over equal prize money in tennis or does it bother you? It annoys me, for sure! I see no reason to change that. What bothers me is the cyclical side of this controversy. Beside that, there are some valid points. The men’s tour is actually more attractive than the women’s tour. There is no debate: probably three of the six greatest players in history are playing at the same time. The women’s tour has seen a period like this, ten years ago. What I don’t understand is that money earned by women is not earned to the detriment of men… So where’s the problem? Obviously, Roger, Rafa and Novak are carrying all of tennis, including women’s tennis that is not at that level. But why shouldn’t everyone profit from it? I find this discussion very sterile. If we speak of the Grand Slams, it is understandable. They play best of five, it’s not the same format … Valid argument. I understand it well because I am rather favorable that women play best of five sets in the final rounds. Ot that men play best of three in the early rounds of the tournament. There aren’t many balanced matches in the first week. At the same time, adding a third set for the women could make the semis or finals more interesting. Q: Do you think this debate exhales reeks of machismo or sexism? Society as a whole is still and always sexist. We have the chance to play in a sport where equality is defended. We even may be trailblazers. And I’m happy about it. Q: Have you talked about it with Andy (Murray)? Obviously. Given the context, it was obvious. (She smiles.) I knew very well what he was going to say to journalists. We’d talked about it before. I asked him his opinion before his press conference and we discussed. I did not dictate him anything. He has very strong opinions about it. And above all, he has very interesting arguments. He has a very broad, very Anglo-Saxon vision of things. For him a woman ranked 100th in the world must have the same opportunities as a man ranked 100th. His view is: why should a man ranked 7Oth in the world earn more than Serena, just because he has a pair of balls and is born in the same era as Djokovic, Nadal and Federer, even though he doesn’t sell a single ticket? The debate isn’t about whether the men’s tour is more attractive. It’s about equal opportunities. And Andy has understood this perfectly. Q: Problems within the French Tennis Federation, suspicions of match-fixing, Maria Sharapova failed drug test, the debate on equal prize money: is tennis suffering? Yes. The image conveyed is terrible. It saddens me deeply. I find it pitiful. We are talking constantly about all these cases. We never talk about performance, values, commitment, sweat, transcendence. Yet this generation is exceptional. But it’s clear that tennis is taking a hit right now. Betting fixes, doping … There’s only one thing to do: keep fighting and cleaning up. Q: Will we have again a golden era for women’s tennis (2000-2005)? people reveal themselves when they get rid of strong personalities that surround them and maybe stifle them. It will be easier for young players to win, but also to position themselves, to open up, unfold and be assertive. Essential. It’s sport after all! Values in sport are keys. What happens with Sharapova’s positive test is terrible. A champion like her involved in a doping story, it’s horrible for the image of tennis. You have to try to be impeccable. The road is not always linear but you can also get better with time. Serena did it for example. She better takes the full measure of her role and responsibilities now than ten years ago. Young players don’t realize that. At least not yet. Q: Are we right to worry about the women’s tour, post-Williams and post-Sharapova? In the same way we can worry for men’s tennis! What about after-Federer, Nadal and Djokovic? These guys are legends. And it’s hard to replace legends. In fact, today, I put both circuits in the same basket. Men’s tennis is not safe from falling out or disinterest. For now, the Kyrgios, Zverev, Coric don’t exist. There is a world between them and the “Big Four”. But this can change. Q: Are the ATP and the WTA as consistent one than the other? The only thing I can say, is that ATP seems much more pro-active. But the era is favourable for them. When was the WTA stronger? In my time, because there was a bunch of champions. Today, the WTA is more of a follower. Q: Is it not also too protective? When the Sharapova case happened, the WTA gave prepared replies to all players! I saw that. I’ll tell you something: to varying degrees, it has always existed. They are afraid. But honestly, I think the players say what they want. I think they should not do it but in my opinion, it changes nothing. I don’t have the image of girls standing to attention. Exact. Instead, explaining the situation to a player before a press conference can only be a plus. There, the WTA has a role to play. But they can say to a player: “It would be good to say that,” I am pretty sure it has no impact. Q: Would you be interested in taking part to participate to a working group about the future and promotion of women’s circuit? I should be… but no! (She bursts laughing.) I prefer to be on the court. I hope to contribute but in another way. By being Fed Cup captain in particular. I like to see this team leads people behind it. But to sit around a table meeting after meeting, is not my thing. I’m more into action. Providing direction, inculcating values, imposing respect … that’s what drives me.